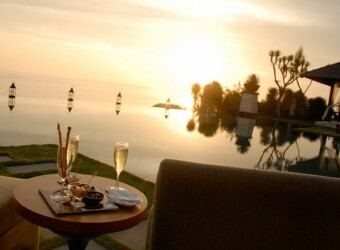 Bali Restaurant It is the highest class wedding resort, Tirtha Uluwatu. They started open their dining for all people since August, 2011. Not only bridal couples but also everybody can go there. They serve Japanese taste French cuisine. Course menus are changed every month beause they use seasonal fresh food. Why don't you go there to make your special memony?